Before dressed with sheetmetal parts. 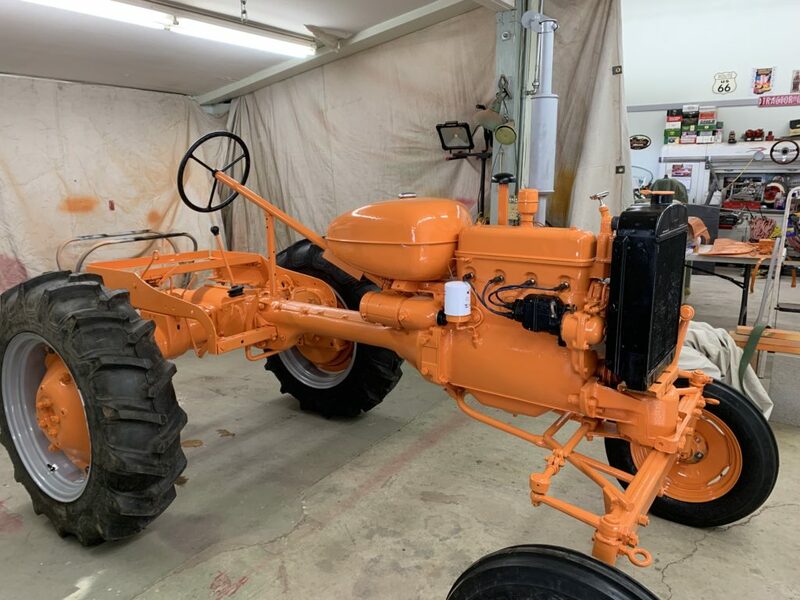 Our customer, Kenneth, in Idaho is doing a complete restoration on an Allis Chalmers B. He’s been purchasing everything to rebuild from Steiner. Parts to rebuild the Fairbanks Morse magneto, new gauges, a new battery box, carb rebuild, a new steering wheel, various gaskets, eccentric style rear wheel clamps, seat cushions and hardware, muffler and raincap as well as various knobs, caps, cables and boots. Thanks for being such a loyal customer, Kenneth! We can’t wait to see this project come together. Keep the pictures coming! 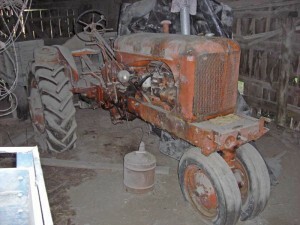 This 1954 Allis Chalmers Tractor was brought brand new in March of 1954 at an Allis Chalmers Dealer in Aleman, Iowa by my Dad and driven back to the farm at Maxwell, Iowa some 19 miles or so. I watched my Dad come in the driveway with it, I was 5 years old at the time. At that time it was the most awesome sight I had ever seen and so proud of my Dad. The tractor was still being used somewhat on the farm two years ago last July. But my youngest Brother has henceforth taken over the farming operations and before my Dad had gotten too old had bought a newer tractor and some more A/C’s. 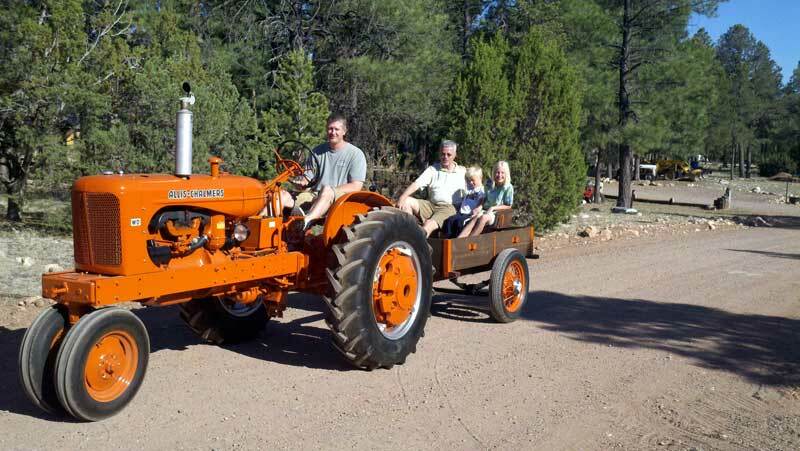 So my Brother asked me if I would like to have that tractor since I was the oldest son of 3 and used a tractor here in Tucson on our acre along with another 5 acres in Sonoita, Az. 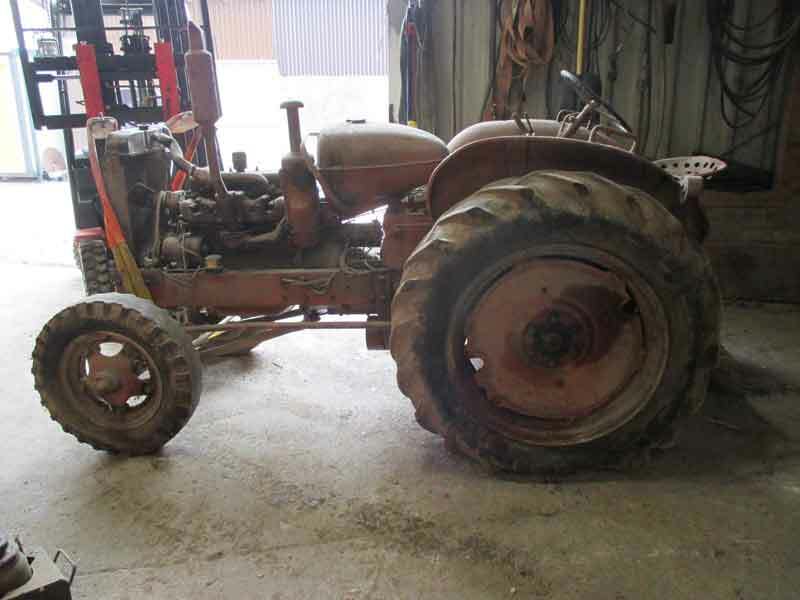 I had a Farmall H at the time with not attachments except a Buzz Saw. I gave the H to the neighbors in Sonoita, Az. So of course I was delighted, so my son and I made plans to have it sand blasted and he repainted it to specs. It also came with a front end loader a rear blade in which I needed desperately. So as the story goes I trailered the tractor back to Tucson, the paint was so fresh we could not put Decals on it in Iowa and I needed to get back. A month later we finally got the Decals on the Tractor. All three of us brothers grew up in the fields on this tractor as it was the only one we had till I left home. So now the Iowa tractor is alive and well and serving it’s purpose until I am too old to drive it. When my Dad at 91 see’s a pictures of the tractor he just grins from ear to ear and says yup that was my first Tractor and Tom has it in Tucson. 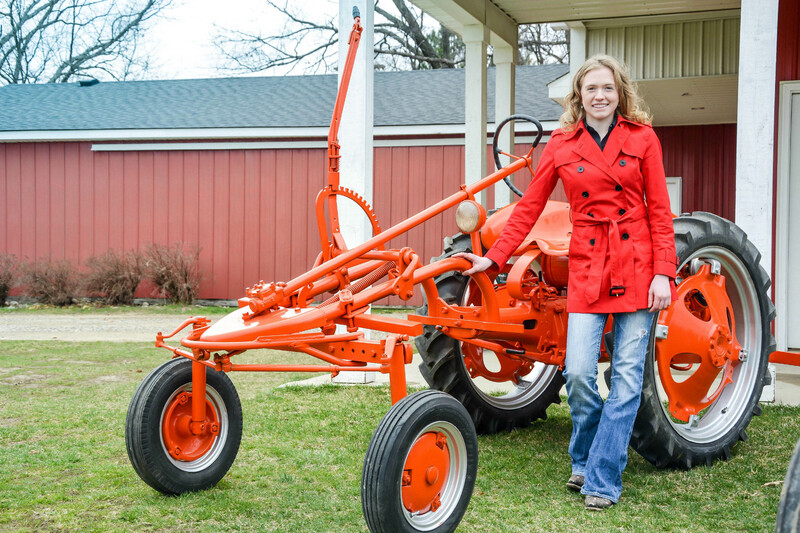 Why are Allis-Chalmers Tractors Orange? 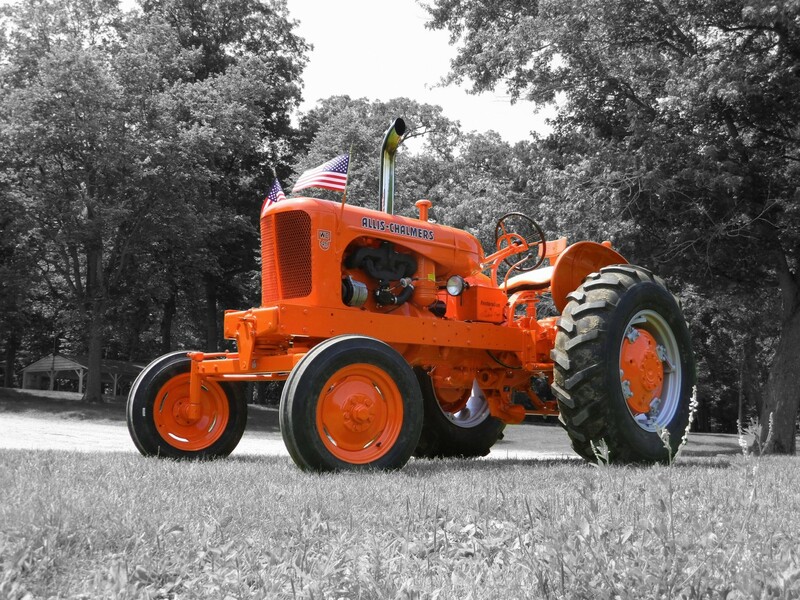 Have you ever wondered how Allis-Chalmers tractors got their distinctive shade of orange? It’s not because orange was the only color left! (Although to be fair, a desire to be different might have had something to do with their color selection). The very first AC tractors were a dull shade of green. Everything changed in 1929, when Harry Meritt took a trip to California. Merritt was the manager of Allis’s budding tractor department. He must have been thinking over the question of color one day when he traveled past a field of brilliant, blooming poppies. As they waved in the breeze, the color struck a chord with Merrit. He went back to the factory and convinced his colleagues that orange was the right choice. The shade was named Persian Orange after the poppies (a native crop of ancient Persia, now modern-day Iran). 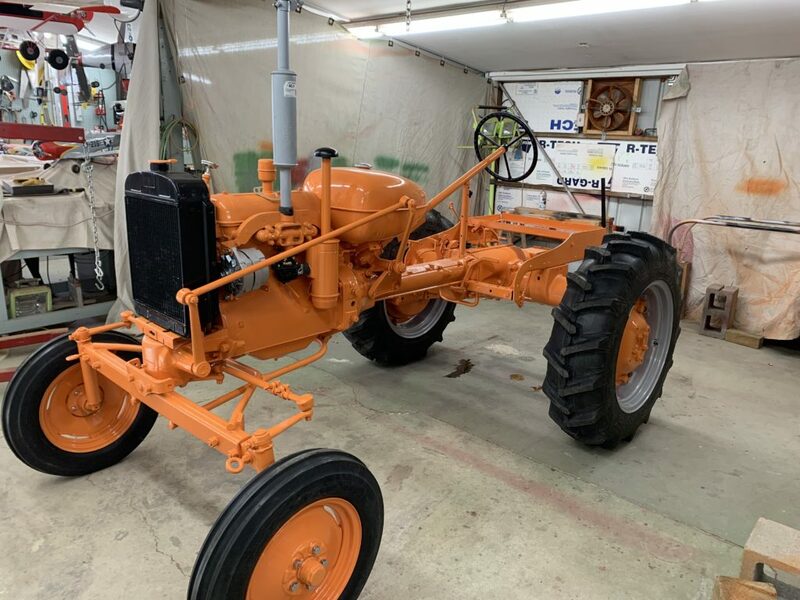 If you are painting an AC tractor, you should know that the company used two different shades of Persian Orange (Persian Orange #1 and Persian Orange #2). If getting the shade exactly right is important to you, then you’ll want to do careful research to determine which color to use. 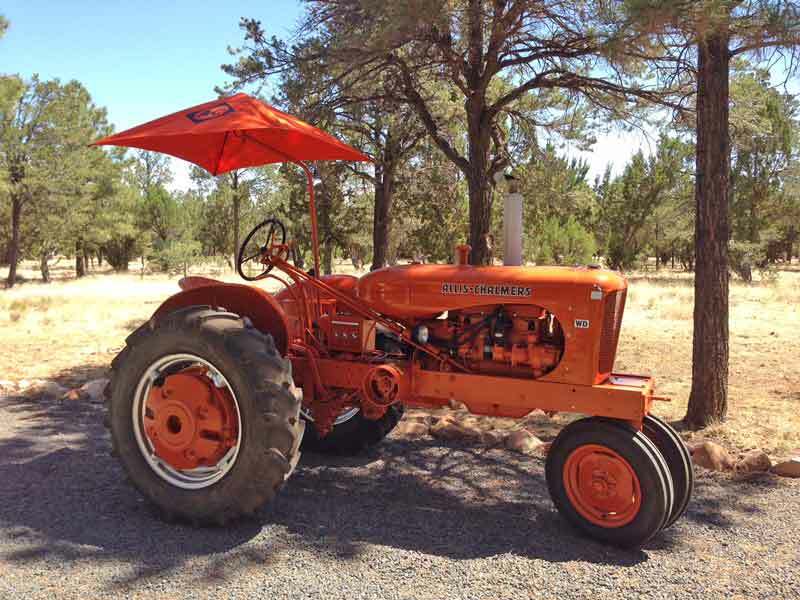 Later AC tractors used a different orange altogether, called Corporate Orange. As a child, I painted my bedroom a similar shade of bright orange (much to my mother’s chagrin). While it might be a bit much for a little girl’s bedroom, the color sure makes a statement! June 1956 – AMBER WAVES OF GRAINS – Typical of the wheat harvest now in full swing throughout the area in this scene recorded this week on a farm between Lexington and Higginsville. Operating the tractor-towed combine is William Marcks, who owns the harvesting equipment with his brother, Alfred Marcks, who lives nearby. 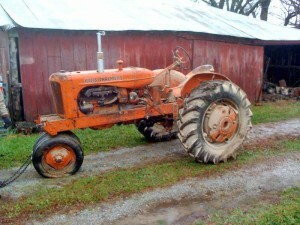 My Grandfather purchased this new in 1949 and used it to farm his farm of 140 acres in rural Missouri. The tractor sat in the barn for 30+ years without being touched until I decided to pull it out and ship it to my home in Arizona where I restored it with a lot of help from some good friends and Steiner. One of the pictures above shows how I found the tractor after all of those years and the one showing it outside the barn was where I aired up the tires and pulled it out. 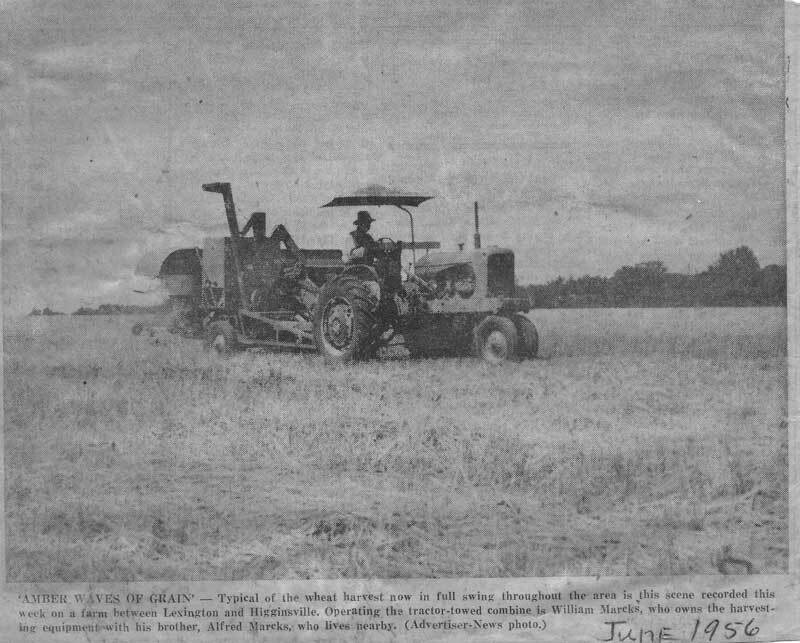 There is also a picture (black and white) of my grandfather harvesting wheat with it in 1956. This project was and is a lot of fun as I still find little items to add in my quest for perfection. My kids love riding on it and we drive it in the annual 4th of July parade in Overgaard, AZ. Beach Sanitizer. Sorted trash from sand, and could clean up to 3.75 acres per hour. Designed to be pulled by the Beachmaster tractor, a version of the 190. Produced 1964-1970. Spacecraft equipment. Allis-Chalmers was awarded some early contacts from NASA, using fuel cell technology to produce power and oxygen systems for spacecraft. The success of these systems helped prove that manned spaceflight was possible. Sadly, AC equipment never made it on a manned flight – the company discontinued their research in fuel cell technology in 1970. Superchargers for jet engines. During World War 2, Allis-Chalmers became one of the world’s largest producers of aircraft superchargers – allowing Allied planes to fly higher and more safely. A-C made loads of other components for the war effort – including factory machinery for other companies. 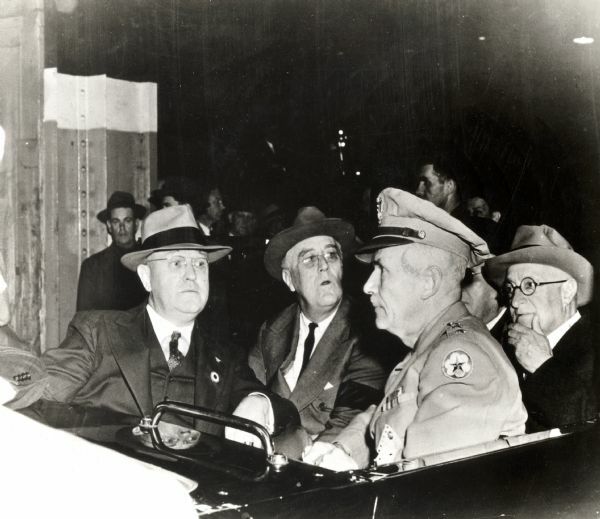 Here’s a picture of President Roosevelt touring an A-C plant. Mining equipment. 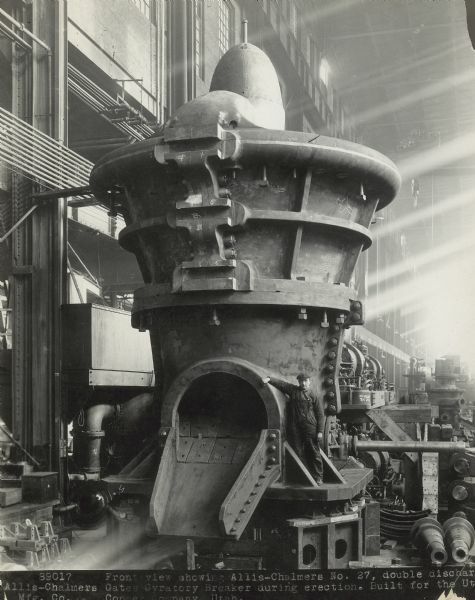 Check out this huge stone crusher (called a gyratory breaker) that A-C produced for the Utah Copper Company. Terra Tiger. 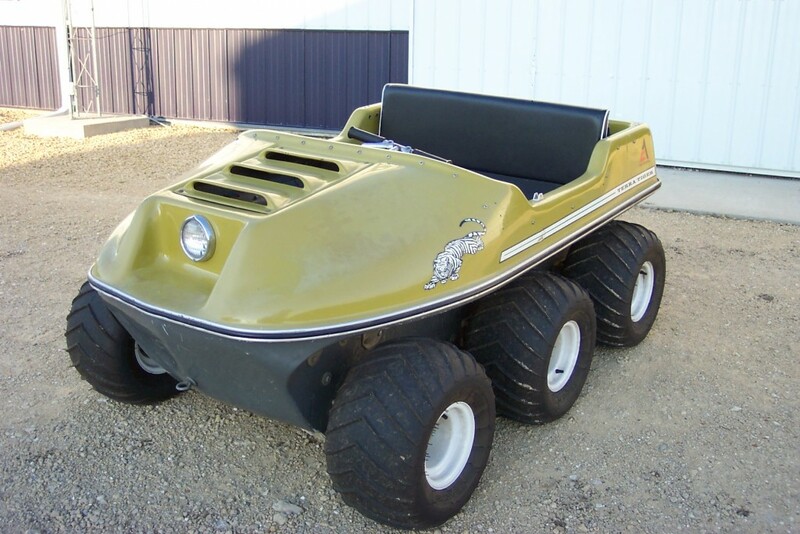 A six-wheeled, 10-horsepower ATV with a watertight fiberglass body. It was marketed as a “go-anywhere” vehicle. I couldn’t find records on how many were produced – I assume it was very few. How about you – had you heard about all these A-C products? 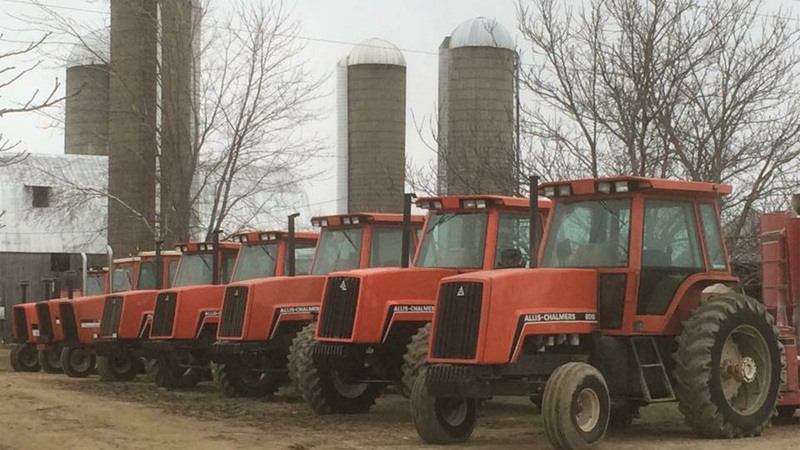 Do you have a favorite (non-tractor/equipment) product that I didn’t mention? Share in the comments below. 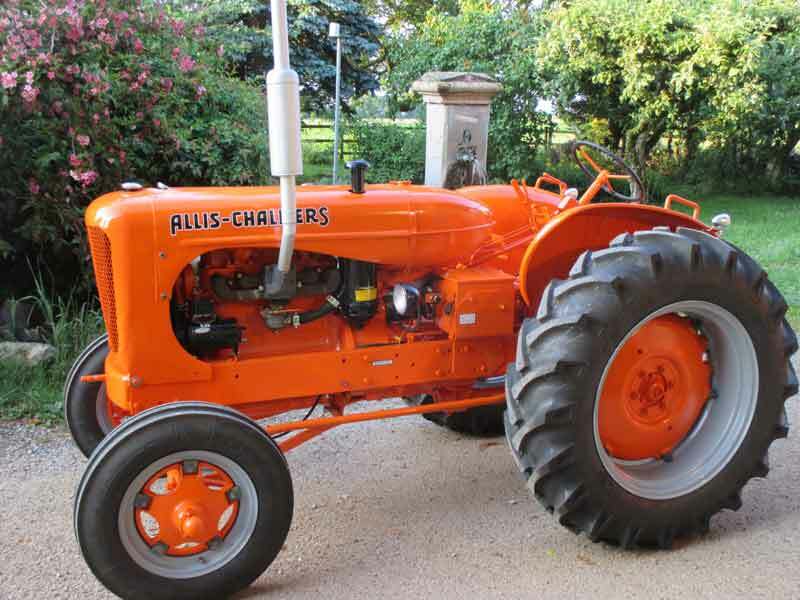 1948 Allis Chalmers WF restored by Daniel Humbert of Switzerland. In this regular feature, we explore the early inventors and businessmen behind today’s most popular antique tractor brands. Today, will look into Edward P. Allis, one of the men whose name appears on Allis-Chalmers tractors. 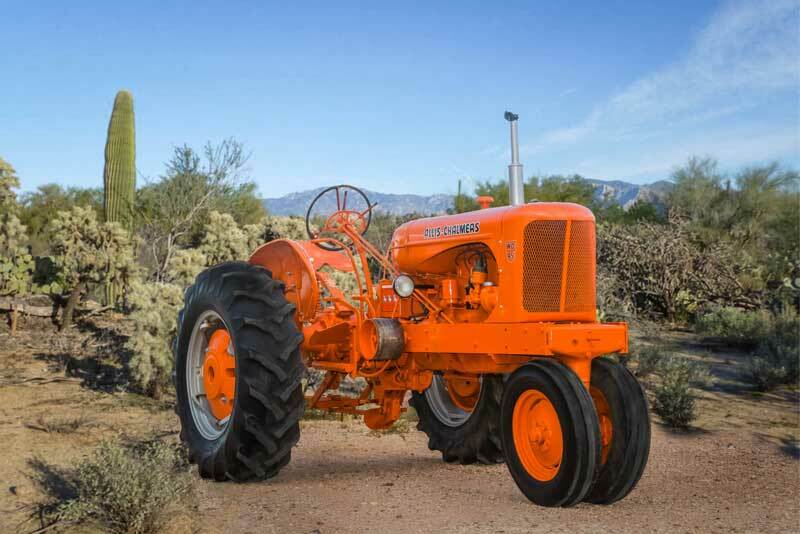 Unlike many other names we see on tractors, Edward Phelps Allis was never an inventor. Instead, he was a businessman – and an excellent one. Allis’s first line of business was leather – together with a partner, he opened a leather shop and a tannery in Milwaukee, Wisconsin. After 10 years he sold his share in the successful business and looked for a new challenge. He found that new challenge in a troubled ironworks. The Reliance Ironworks of Milwaukee, founded by two men from Dayton, Ohio, hit hard times during the panic of 1857. When Allis and two partners purchased the Reliance Works, it was in bankruptcy. It quickly became apparent that the ironworks would need a sharp infusion of capital to stay afloat. Allis’s partners grew skittish and backed out of the deal, but Allis rounded up the money to buy their shares and to keep the business open. Allis’ faith in the Reliance works was soon rewarded. Within 4 years, the Ironworks had pulled out of its nosedive and was booming. Tractors weren’t a part of the picture when Edward Allis was in charge – instead, the company produced a diversified assortment of equipment for milling and mining, including steam engines. The roller flour mills that Allis built for Washburn-Crosby Mills and the Pillsbury mills changed the industry. Because these two companies were on the leading edge of the mill improvements, they quickly grew in prominence – it’s why we have Gold Medal and Pillsbury Best flour on our shelves today. Edward was a quiet, studious type with a keen mind for business. 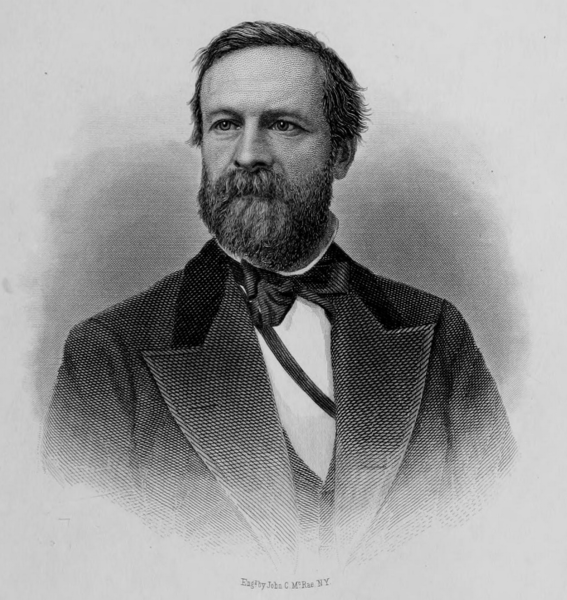 He enjoyed reading and even ran for governor with the Greenback Party (a break-off of the Republican party that differed on currency policy). He and his wife, Margaret, had 11 children. Allis built a solid company, but he didn’t have any sons interested in continuing to lead it. (One son, who showed an interest in the family business, eventually went off to form his own.) 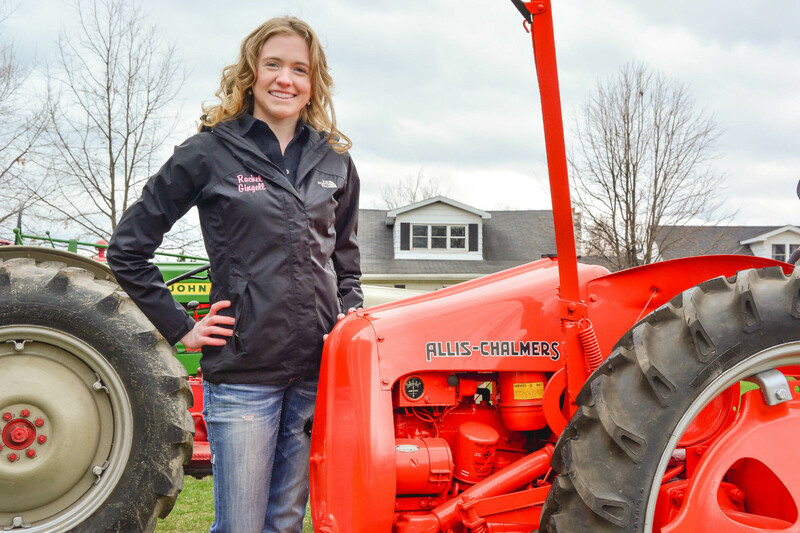 Two years after his death, the Edward P. Allis Company merged with the Fraser and Chalmers Company – giving birth to the Allis-Chalmers combination that we recognize today. Message from one of our customers looking for parts. Thank you so much for your help. I will use the sites you provided and order the parts. The numbers I have are the numbers in the original book my Dad got with the tractor when he bought it new, the year I was born, 1950. The serial number is G16472. 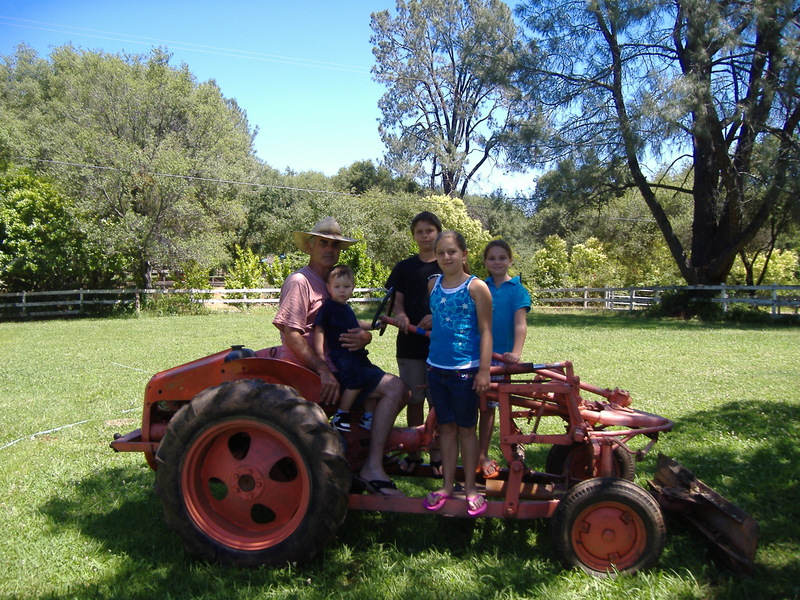 I have attached a photo of the tractor with me and my grand children on it. 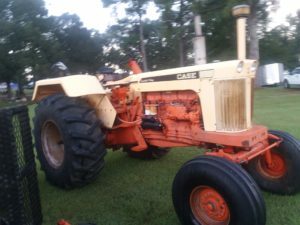 It is still a working tractor that is used on our ranch to pull a Big 4 mower and blade the road down to the barns every year. I cannot imagine how many hours I have on this tractor! We have 8 mm film of me riding on my Dads lap on it when I was one, 1950. 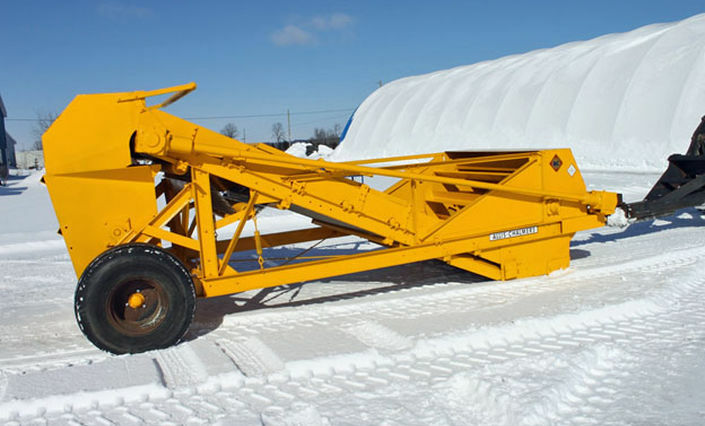 We have all the attachments, blade, seeder, plow, drag harrow, etc. A friend of mine originally owned this 1955 Allis Chalmers WD45 and was a lover of the Allis orange. After his passing I acquired it, in pretty bad shape, and my dad and I did a full restoration. on the tractor using many parts from Steiners so it could be enjoyed for many years to come. 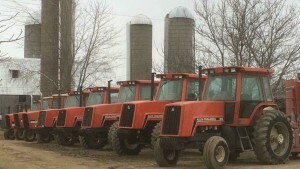 extensive collection of Allis Chalmers 8000 series tractors. Brad, a farmer who specializes in Holstein cattle and custom baling, opened his barn doors to our very own Suzette and Rachel of Wrenching with Rachel. See Brad’s story in this newest series of tractor videos offered online at SteinerTractor.TV.